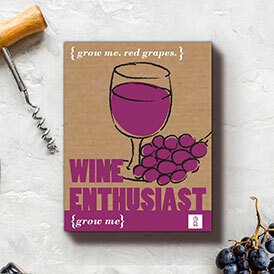 This tin is the perfect gift for any wine-enthusiast! 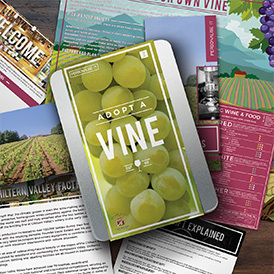 Brimming with information and fun facts about wine and its origins, this pack allows your to adopt a vine with Chiltern Valley, a respected winery in England. Become a friend of the winery and experience a unique behind the scenes tour and tasting session as part of this tin! After a simple online registration, you will receive a personalised certificate and your cad which will allow you to enjoy a tour of the winery for yourself and a guest, as well as a tasting session and 10% discount at the winery shop. Disclaimer: Chiltern Valley Vineyard is located in Oxfordshire. Upon registration, the recipient will receive a Winery Privilege Card, valid for 12 months. 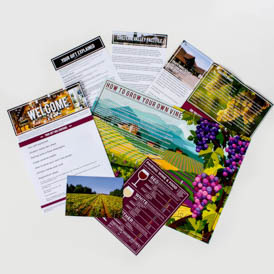 The card entitles the bearer and one guest to a tour of Chiltern Valley Winery & Brewery, a tasting session and 10% discount at the shop on all products produced on site. Tours take place throughout the year, they are not weather dependent but, they must be booked in advance. Book early to avoid disappointment. Neither Gift Republic nor any of its suppliers can accept any liability if tours are unavailable for any reason. 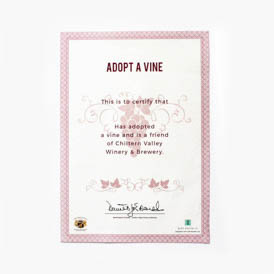 The twelve month vine adoption is on a non exclusive basis This is a novelty gift item and must be regarded as such. 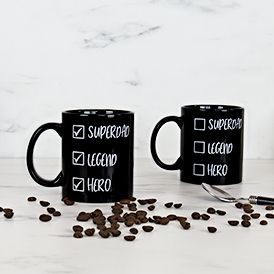 You can register your gift online at www.registergiftbox.com, Full instructions on how to register can be found in your gift box. Once registered you will receive your personalised certificate, Winery Privilege Card and directions. 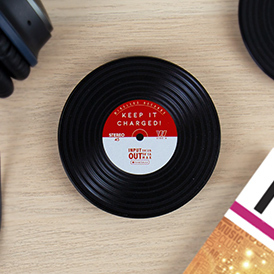 You need to register your gift before the ‘register by’ date on your gift box. We recommend that you register your gift as soon as possible. Where is the vineyard located? The vineyard is located in Hambleden, near Henley-on-Thames in Oxfordshire. Upon registration, you will be sent full contact details, address and directions to the vineyard. What days are the tours held on? Tours run on most weekdays throughout the year and some weekend days are available too. 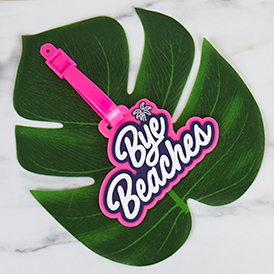 Do I need to pre-book my tour? Once you have registered your gift and received your certificate and privilege card you will need to book your tour directly with Chiltern Valley Winery and Brewery. The easiest way to do this is on their website, please go to the following link: http://www.chilternvalley.co.uk/events/weekday-tours/ and select your preferred date, if you do not have internet access please call 01491 638330 to book your tour. These tours are very popular, so please book as far ahead as possible to avoid disappointment. The winery and brewery tour is valid for two people. Additional guests will be charged. 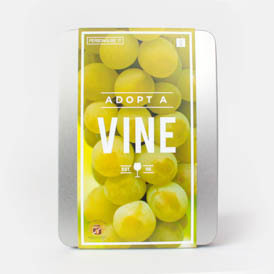 Can I visit my adopted vine? No, unfortunately. 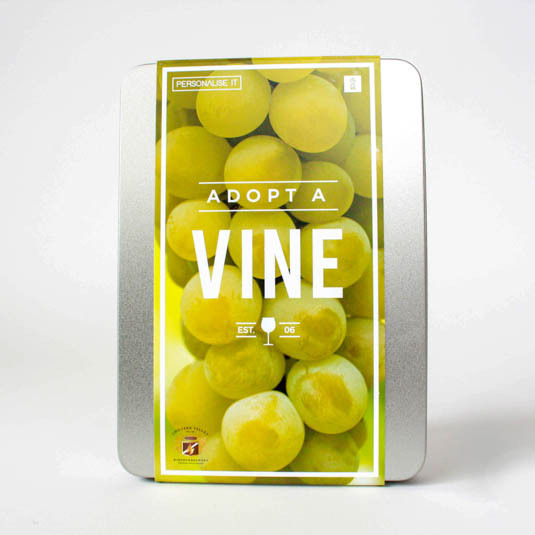 As this is a working, ever changing vineyard you are adopting a non-exclusive vine. How do I use my 10% discount? Your winery privilege card entitles you to a 10% discount on all products produced on site in the winery shop for 12 months. Can children go on the tour? The tour is not suitable for children. You must be aged 18 or over to take part in the tasting session, please take proof of age with you when you visit.